You can stream every live match of the 2018 FIFA World Cup with Kodi and a couple of the newest and best video add-ons. You don’t need a cable subscription or a Fox app to watch the World Cup. Simply install Kodi to your preferred device and follow our easy guide to gain access to the best live sports add-ons. The 2018 FIFA World Cup is heating up and there are some epic matches to tune in to. Christiano Ronaldo has been on fire for Portugal as he has single-handedly won them the last two matches. Here’s to hoping we see Ronaldo and Messi go head-to-head with Portugal vs Argentina. These two massive futbol superstars are bound to collide in what could be the winner of the entire World Cup. How to Watch the FIFA 2018 World Cup on Kodi? VPN’s protect and hide your identity online. If you do any kind of illegal streaming or downloading of torrents, you need a VPN to keep yourself anonymous. VPN’s allow you to gain access to streaming servers that may otherwise be blocked by your ISP or the United States. You can access servers in other countries to gain access to content that may not be available in your country. Click here to go check out IPVanish, they always have great deals and can provide many more reasons for why you should use a VPN every time you’re online. If you don’t already have Kodi installed, find your device in our menu and follow our simple step-by-step directions. Return here when you are done installing. Repos are under attack and most of them have been shut down. Lately, it’s hard to even find a working video add-on for Kodi. Luckily, there’s a brand new way of getting the best working video add-ons for Kodi. 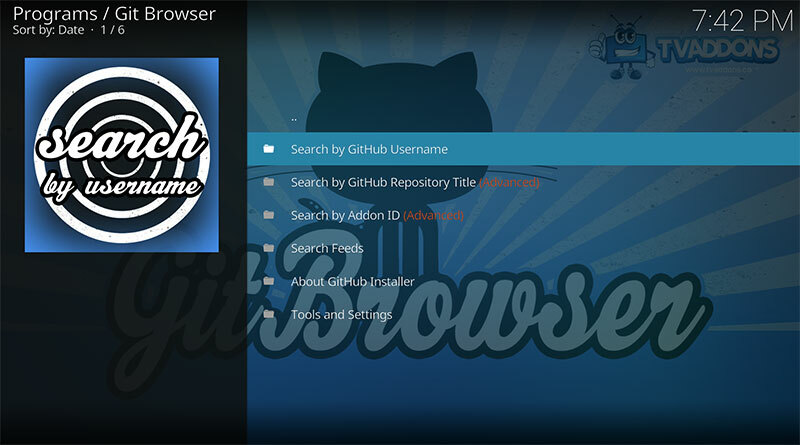 Git Browser for GitHub is the newest thing and we have the simplest method for installing to Kodi. 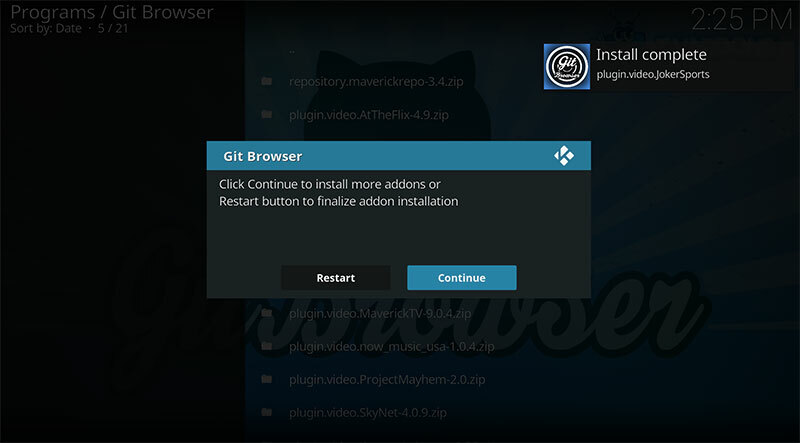 Follow our guide for installing Git Browser to Kodi here. 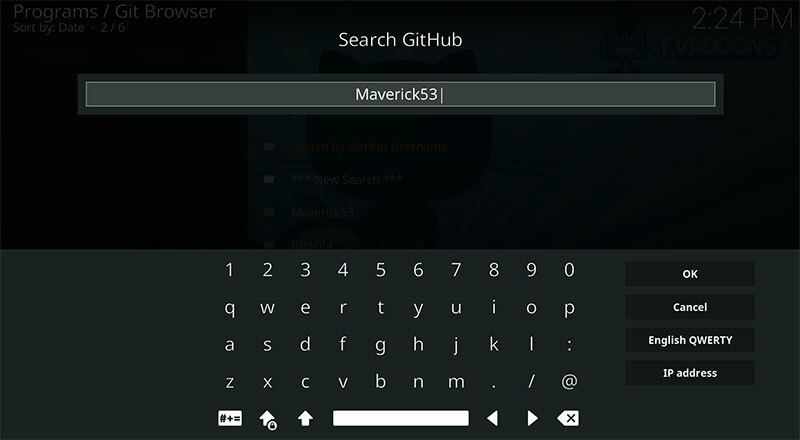 Open Git Browser from your Program Add-ons section in Kodi. A list of plugins and repositories will show up. A confirmation message will appear, select Install. Joker Sports will install. You can click Continue to install more of his plugins or Restart to restart Kodi and use Joker Sports. Once you’ve installed Joker Sports, restart Kodi. Reopen Kodi and open video Add-Ons. Select Joker Sports. When Joker Sports is open you will see the links for the FIFA 2018 World Cup live streams.